“Celebrate Color” – Color, whimsy and strong lines help Claire Harkins celebrate color. 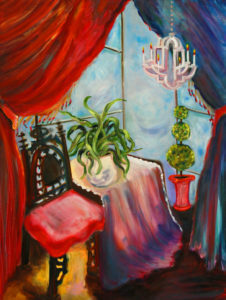 She likes to use interesting perspectives to draw the viewer in to her paintings. 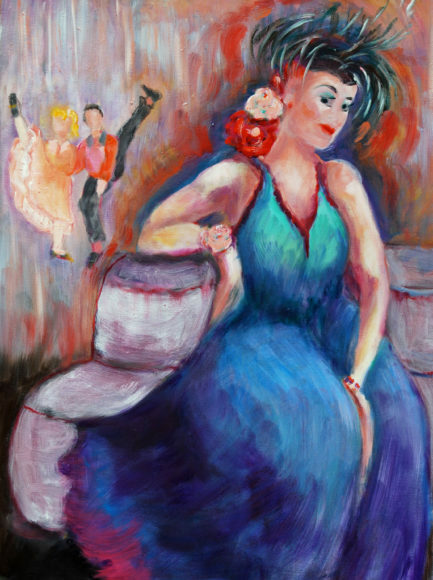 She paints divas (strong women), landscapes with a unique point of view, and interiors that tell a story. You are invited to move into her paintings. She paints exclusively in oils. She is a recent convert to Oregon and will be celebrating the local landscapes in to her most recent paintings. Claire is collected nationally, and is very happy to have Art & Soul Gallery be her local representative. This show will open February 28 and a First Friday reception will be on March 3, from 5-8 pm.